We find that once a customer discovers just the right fit and length of an apron, they then move forward regarding prints. Customers like to see prints for different seasons and holidays. 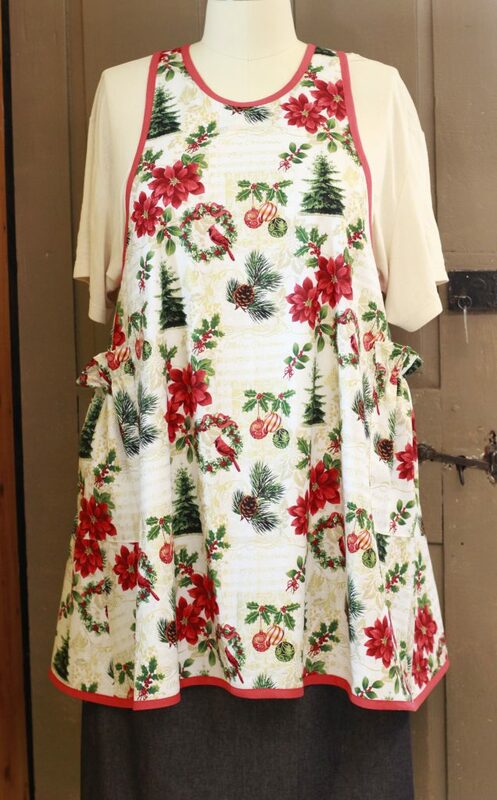 Holiday Aprons are a must for a lot of apron wearers. Aside from canning season, holidays are probably second in kitchen baking and cooking. Choosing a print is like dressing up for your baking, reflecting the holiday or event of the day. Aprons are really the clothing that connect you to the spirit of your work. Well, Holiday season is here and we have two aprons to offer you. We choose a cotton print that is bright and cheerful, edged in red trim. The print has Christmas Trees, Poinsettias, Ornaments, Pine Cones and Holly. For a more formal look, we found a red linen to add to the linen collection. Both Aprons are bright cherry red and reflect the holiday season. I would still love to find a bright red plaid taffeta to craft out a 1950’s big skirted apron but alas I have yet to find such a great fabric. Someday I may and when I do, I will have a blast designing a Christmas Vintage collection so that we can all look like a well dressed 1950’s Barbie. I may even throw Christmas Green tulle underneath to inspire its shape….*sigh*…. I do so want to play with Christmas plaid taffeta. I think it would be a beautiful addition to holiday aprons. 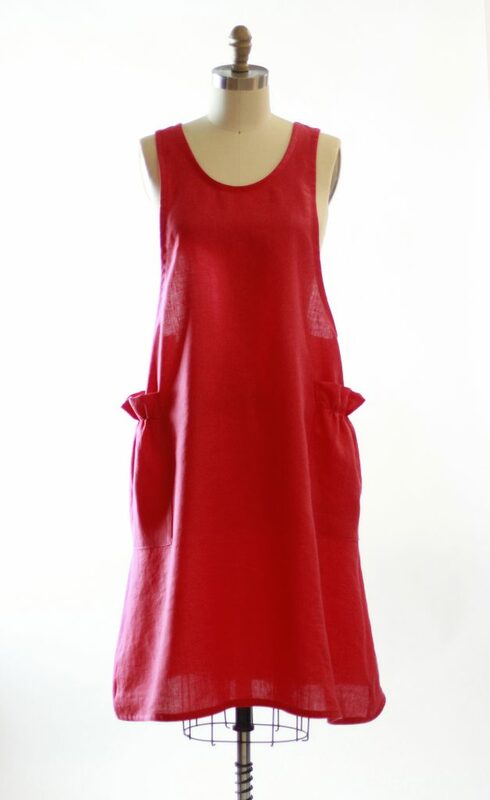 In the meantime, we have a great cotton print and a red linen. Love that solid red color! I know! Right! We do too!